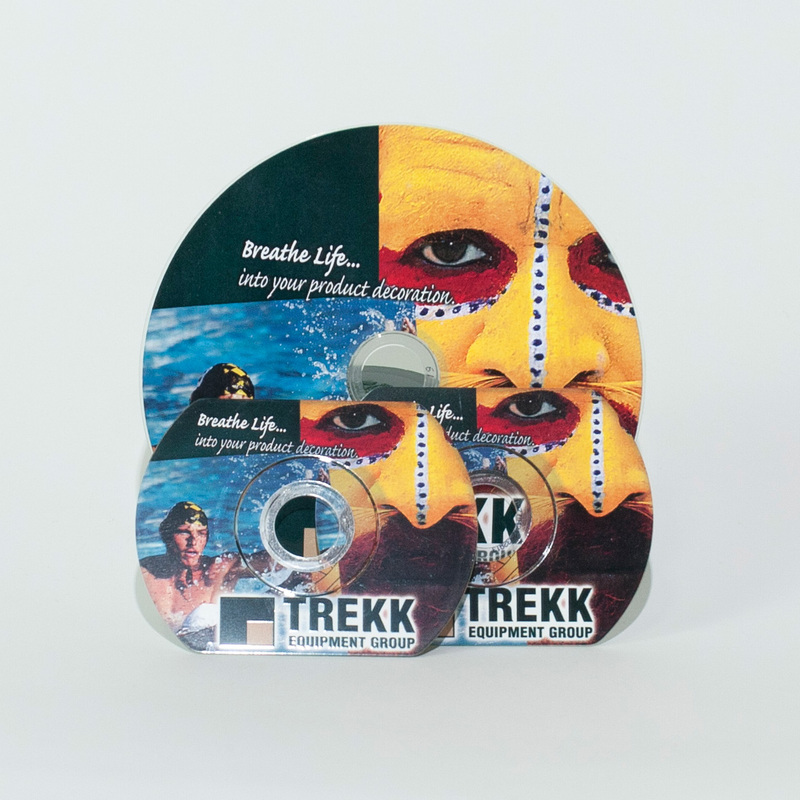 The CD12 was designed specifically for printing and labeling optical discs including CD, DVD, and Blu-ray formats, but it can be adapted to decorate other items as well. Heat transfer label indexing system with quick-change web payout & rewind systems (no tools required for web change). 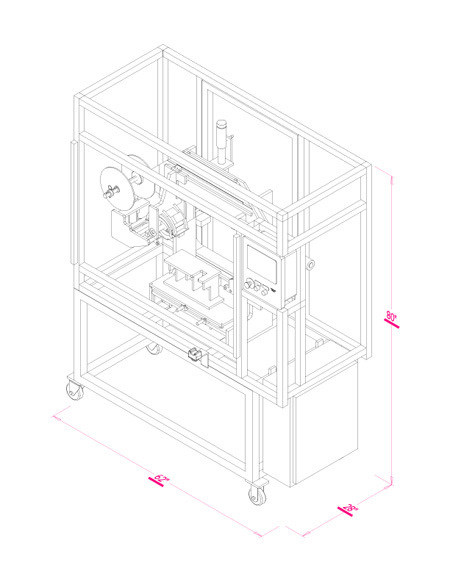 Pneumatic-powered box motion roll-on stamping system with 18-inch horizontal stroke. Nest fixture with fine-tune front-to-back and rotational adjustment capability. Electrically interlocked safety guarding constructed of aluminum extrusion framework and Lexan cover panels. Operator side safety light curtain to permit easy access to equipment. Floor model base frame with cover panels and locking caster wheels or leveling pads (per customer preference). Equipment and tooling subject to change pending review of project specifications and sample parts. Digital display, solid state proportioning temperature control unit. One-piece ceramic-style heater shroud to heat stamp roller. Non-contact infrared thermocouple unit to monitor stamp roller temperature. Electrically interlocked safety access doors as needed. 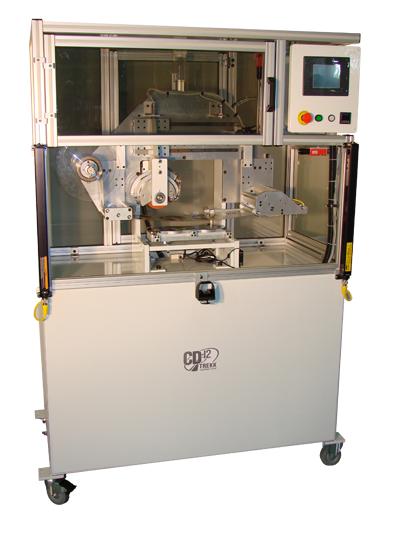 Pneumatic powered cylinder unit to provide up/down stamp roller motion (fine tune stamping penetration control included). Flow control unit(s) as needed to provide cylinder head speed adjustment capability. Panel mounted regulator(s) and gauge(s) as needed to control cylinder pressure(s). Recommended 100 PSI air input supply to equipment. Hot stamp foil web indexing system with quick-change web payout & rewind systems (no tools required for web change).